Our BENFATTO BAMBINA DOLCE (Alphadirato Future Brand x Paloma Bianca Benedetto) aka Bambina successfully was mated by TOOT`s FIELDS OF GOLD (Jilloc´s Sugardaddy x Toot`s Bobadilla Light) aka Sunny in the Estonian kennel Exlibris Canes! 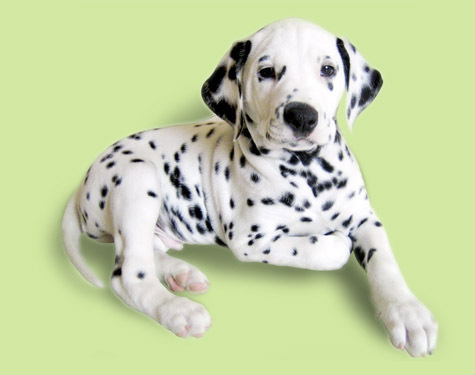 As a cynologist, I can help you to choose the Dalmatian puppy correctly, according to your wishes and requirements. Also, I will consult you in questions of feeding. I gladly share with you my experience of puppy cultivation and education, also I will give you some useful advices about how to correctly prepare your dog for the Dog Show. When our puppies left their litter and came in new home they are vaccinated, microchipped or tattooed. 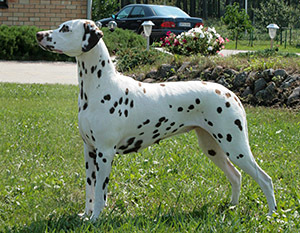 All puppies register in Latvian Cynological Federation, which is the member of the FCI. Puppies receive international canine and veterinary passport of the European example. 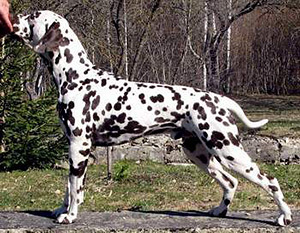 All of them pass through the breed check with most experienced cynologists of the club, they are checked by a vet and all of them get dewormed. Our puppies got used to the professional dry forage Hill’s. For more information or enquiries about puppies and other planned litters don't hesitate to contact us!